Join us and our friends, the Greenwich Council Against Gun Violence, at its second annual Greenwich Rally for the Sandy Hook Ride on Washington, taking place at Greenwich Town Hall on Saturday, March 28, 12:30-2:00pm. Watch this inspirational video below for more information, and please share with others. 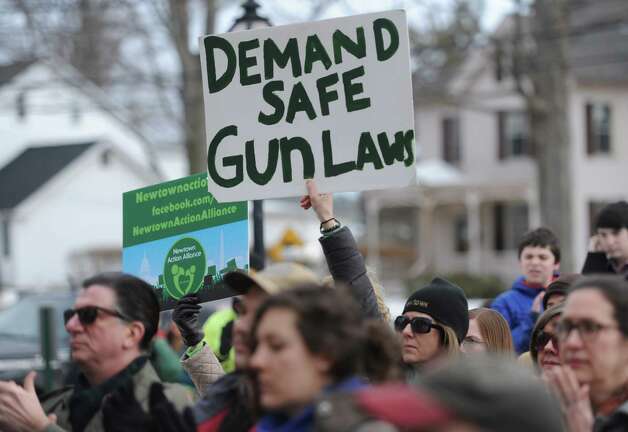 This year's rally will continue the call for expanded federal gun safety laws, especially universal background checks. Participants will also demonstrate support for proposed CT and federal laws aimed at reducing gun violence directed at women in domestic abuse situations: in the CT General Assembly, HB 6848 initiated by Gov. Malloy, and in the U.S. Senate, the Lori Jackson Domestic Violence Survivor Protection Act offered by Senators Blumenthal and Murphy. Speakers at the Rally include Congressman Jim Himes, Lt. Governor Nancy Wyman, State Representative William Tong and the Greenwich YWCA Director of Domestic Abuse Services, Suzanne Adam. Rev. Maxwell Grant, Senior Minister at The Second Congregational Church of Greenwich will lead participants in a moment of silence in memory of victims of gun violence. In the case of inclement weather, the rally will be held inside Town Hall. See you there!